President Obama is gifted at discourse at many levels—speeches, press conferences, media cameos. He excels at what some call the poetry of politics. Despite this, in assessing the substance of his presidency, I’m struck that his significant achievements are very much grounded in the prose of policy. He warded off what was a near depression and steered the economy into a historically significant and long lasting recovery. His health care program extended health insurance to 30 million Americans without disrupting a health care system based largely on private insurance, and which constituted roughly 15 % of the economy. His security policies prevented 9/11 style terror attacks from foreign members of terrorist groups. Killing Bin Laden not only eliminated America’s most lethal enemy, but showed other foes that no one is beyond the reach of the U.S. military. The existential threats of nuclear weapons and climate change were blunted by painstaking diplomacy that led to the Iran nuclear arms deal and the Paris climate agreement.Two threads run through President Obama’s successes. One is that they required great technical expertise and mastery of complex policy issues. The second is they kept Americans safe from catastrophe—financial catastrophe, medical catastrophe, environmental catastrophe, and catastrophe in the form of war brought home to America. Not exactly the type of victories that the soaring rhetoric of the 2008 campaign suggested, but successes which made the lives of the vast majority of Americans better and more secure. Moving from successes to ways that President Obama fell short, one of the ironies of his presidency is that a man so gifted as a speaker so badly lost the political debate regarding his signature domestic program, the Affordable Care Act. More irony still in that Obamacare, pilloried politically since it was enacted, appears to be gaining in popularity as it appears likely to be repealed by Republicans. Most Americans don’t want Obamacare to end. Perhaps the deepest disappointments come in areas where many of us felt President Obama offered transformational possibility—war and human rights. The President leaves us with less war but more wars. He did end the large-scale wars he inherited, and the wars he is now waging kill and injure fewer people (though each death of a civilian or U.S. service member is a tragedy beyond remedy). But he has replaced the Bush wars with conflict in many more places, and leaves his successor with the operational and legal framework for war without end, without geographic limit, and without meaningful congressional oversight or public accountability. President Obama was able to shrink Guantanamo’s prisoner population but not to close Guantanamo (owing largely to Republican obstruction). His administration continues to fight disclosure of the truth regarding Bush era torture, both in the form of the Senate report on torture and by the fact-stifling military commissions adjudicating some Guantanamo detainees. Terrorism, extremism, and political violence in the Middle East have all grown worse. The Israeli/Palestinian conflict continued unabated, as it always has and seemingly always will. Having said all that, the Obama foreign and national security record might well be as successful as any president could have had. Again, the United States did not suffer a 9/11 type attack during the Obama presidency. Guantanamo is a smaller problem for the U.S. now than it was when President Obama took office. It is hard to imagine anyone who could have been president in Obama’s stead shrinking war and the Guantanamo population as greatly as did Obama. As to the worsening of Middle East conflict and intractability of violence between Israel and Palestine, perhaps the lesson is not that President Obama failed, but that the world failed in ways that America cannot fix. It is hard to escape the conclusion from our myriad involvements in the Middle East that America cannot impose military and diplomatic solutions to violence in that region and that we need to right-size our efforts to do so. What is left is President Obama’s expansion of presidential war making capacity and authority, perhaps his gravest failure, and I fear we will soon find out just how lasting and damaging a mistake this is. In the end, though, President Obama has been one of the most successful presidents and one of the most remarkable and consequential people in American history. His achievements on economic recovery, health care expansion, climate change, and security at home were hard fought and protected everyone in America from catastrophic loss. His presidency preserved and promoted the long-fought revolution in freedom for gay and lesbian Americans, a revolution that succeeded because of decades of tireless, courageous work from the movement’s advocates and leaders. Though Obamacare is in jeopardy, the President may have succeeded in changing public opinion so that it is now widely accepted that government is responsible for insuring that affordable health care is available. I’ll end with where I began, with the poetry of the President’s leadership. I think it goes beyond poetry to music, because great leadership, like great music, reaches people in their hearts and makes them feel. It inspires. The Presidency of Barack Obama has, as it ends, won him a place in Americans’ hearts. He led with intelligence, grace, wisdom, decency, humanity, and integrity, showing respect even for rivals who obstructed his every move and questioned the legitimacy of his presidency. His words always sought to lift the nation, to inspire it to hope and active citizenship. He wept with sincere anguish when he spoke of six-year-old children who were massacred in a classroom. Even in ceremonial congratulations to championship sports team, he connected to great things, reminding us when he celebrated the Chicago Cubs World Series win that sports brings us together and that there was a line from Jackie Robinson to his presidency, and maintaining that the diversity in our champion Olympic team shows how the multiplicity in our society is one of its great strengths. President Obama leaves office with high approval ratings, but numbers don’t tell the whole story. He—and Ms. Obama—are held in great admiration, affection and trust by most Americans. They are also accessible and authentic—a young friend of mine says she wishes President Obama was her dad, and conservative columnist David Brooks observed that the Obamas are the sort of people you’d ask to be on the board of a local charity. The Obamas are role models, people you’d tell your kids to be like. So while some presidents are too small for the office, and others a comfortable fit, the Obamas are unique because they made the office bigger. They have re-imagined what Presidential leadership looks like, sounds like, and feels like. If you doubt that, consider that if a future politician is described as “Obama-esque”, that will mean he or she is dynamic, brilliant, charismatic, convincing, inspiring, and on the fast track to presidential candidacy. The Obamas leave the White House in the prime of their professional lives with a great reservoir of public goodwill. They can, and I hope will, continue to serve as American leaders of conscience, not just to preserve President Obama’s achievements but also on issues where the Obama presidency fell short or left important work undone. It turns out our first black president was a great president, and perhaps an even better man, who lived the best of our virtues in his service. I remember trudging through snow banks in New Hampshire in 2007 with the Obama campaign because he had promise. 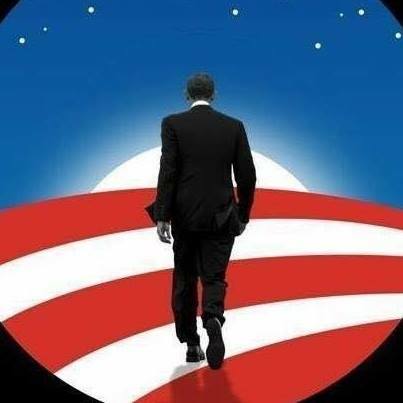 As he leaves, I’m grateful that he kept that promise, and I’ll offer him a farewell that his opponents often used to taunt him and his supporters–Thanks Obama. Great look at the Obama Presidency. Above all he is a decent human being who wanted the best for this country and inclusion for ALL Americans. He continued the great legacy of fighting for equality that we must now take up as citizens, because the PE will not be a man of ALL Americans but a man of special interests and division.